Here are three that I’ve made just for the pot. I know these ‘made’ fabric blocks are very popular, but not particularly with me, so they should go to someone who will enjoy them. 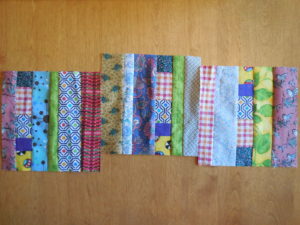 I doubt that I’ll make the January blocks because in looking through the few strips that I have, very few are red.